Austin Auto Techs Auto Repair Texas Your browser does not support the audio element. Your browser does not support the audio element. Thank you for visiting our website. We are owner/operators Hugh Prifogle and Brian Perlinger. 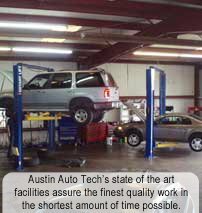 We are ASE certified master technicians who have been working together since 1989 and have been servicing customers in the NW Austin area since 1991. In December 2001, we opened our own 10 bay repair facility to continue our high level of customer service. When you bring your vehicle to our shop, we are looking to make a long term relationship. Many of our customers have been with us so long that their children are now also our customers. 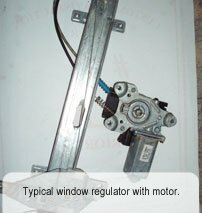 We will never pressure or recommend repairs or services that are not absolutely needed, or required by the manufacturer. We do proper diagnosis and give exact estimates on the services or repairs that you need. 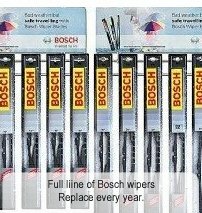 All of our repairs have a full 12 month, 12,000 mile nationwide warranty. 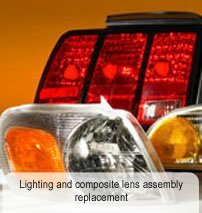 Our goal is to make your vehicle service and repair as easy and cost effective as possible. Our record keeping is computerized, allowing for easy follow up and tracking of expenses by the mile. To ensure timely service, all of our work is by appointment only. If we are servicing your car, and you need to be somewhere in the local area, we can drop you off and pick you back up to retrieve your vehicle once everything is complete. Also, there is after hours vehicle drop off and pick up for those who can't make it during our normal business hours. 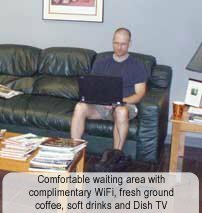 For those quick services, such as oil changes or inspections, we have a waiting room with many amenities: couches, satellite television, wireless network access, soft drinks and fresh ground coffee. Serving Northwest Austin since 1992. The A/C has to work harder to compensate for any lack of refrigerant, this can lead to premature failures in compressors, relays and fans. Our A/C service will test your system pressures, cooling efficiency, fan operation, belt and hose conditions and mode functions. We will fill your system to capacity and add a fluorescent dye for future leak detection. 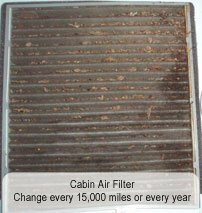 We do complete A/C repairs with a full 12 month 12,000 mile warranty. You want the best qualified person working on your brakes. You want quality parts that you know will work when you need them. Auto Techs inspects your brake system starting and ending with a thorough road test. Our visual inspections include measuring and testing conditions and function. 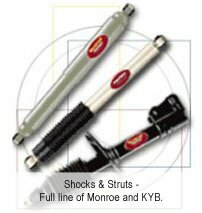 Auto Techs will only sell you what is needed to make your brake system safe as new. We warranty all our brake repairs against any noise or pulsation. In the early 80s manufactures were worried that a light that said "Check Computer" or anything related to the computer would be ignored by the owners. 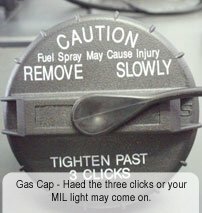 The new political correct term is "Malfunction Indicator Light" or MIL. The light relates to the control systems for emission controls. Vehicles 1996 and newer have the second version or OBD2 (On Board Diagnostics 2), and will not pass emission inspection if the light is on. Auto Techs has the training and equipment to properly test and repair all aspects of your OBD systems. 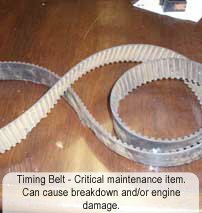 Timing Belt - Some engines can be destroyed by a broken timing belt. State Inspection - 20 Minutes or less with an appointment. 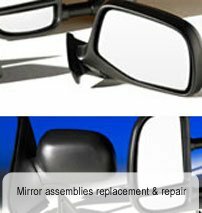 Emission Repair - We are an authorized emission repair facility. Electrical - Battery, starter, alternator & electrical diagnosis and repair. Computer Diagnostic - Using the most up to date scanners and software. Oil Change - In & out in 30 minutes with an appointment. Radiator/Cooling - Hoses, flushes and overheating diagnosis and repair. 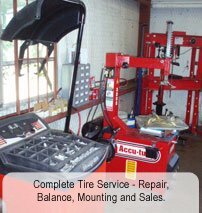 Axle/Steering Suspension/Tire & Alignment - Complete service. Air Conditioning - Complete service & repair. Scheduled Maintenance - We go by the factory schedule. 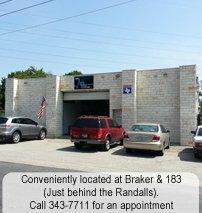 OPEN Monday through Friday • 7 a.m. to 5 p.m.
You want the best qualified person working on your brakes. You want quality parts that you know will work when you need them. Auto Techs inspects your brake system starting and ending with a thorough road test. Our visual inspections include measuring and testing conditions and function. 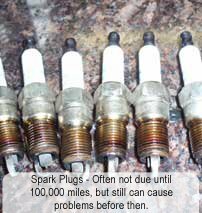 Auto Techs will only sell you what is needed to make your brake system safe as new. The majority of our maintenance inspections find no needed repairs, but if you are having a brake symptom, know that Auto Techs can and will fix it right. 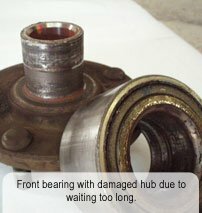 We warranty all our brake repairs against any noise or pulsation. 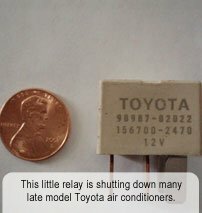 In the early 80s when we first stated computerized control systems the manufactures were worried that a light that said (Check Computer) or anything related to the computer would be ignored by the owners. The new political correct term is (Malfunction Indicator Light) or MIL. The light relates to the control systems for emission controls. Vehicles 1996 and newer have the second version or (On Board Diagnostics 2) OBD2 and will not pass emission inspection if the light is on. The OBD system is in charge of fine tuning the fuel and ignition systems to get the best fuel economy and best emissions output. 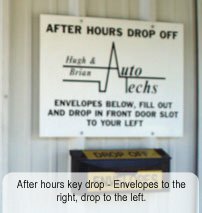 Auto Techs has the training and equipment to properly test and repair all aspects of your OBD systems. There is no guessing or parts throwing at Auto Techs. Proper testing results in proper repair which means proper repair costs. 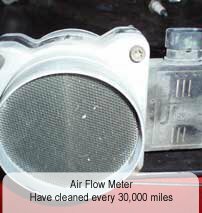 A/C systems in our vehicles are working with a fraction of refrigerant they used to. A difference of as little as 4 oz. can reduce cooling by 30%. Of all the things to shop price for, why would you want the cheapest brake job in town? Brakes should only be serviced by a professional. Service Engine Soon, or a symbol of an engine have all been used by different manufacturers. 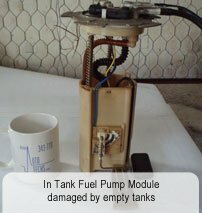 None have any direct relation to the engine.